Having trouble fitting your tables into a responsive site? They look great on a desktop layout, but look miserable on mobile. First remove any fixed widths from your markup. The width attribute is deprecated – better to let the browser size the columns. If you don’t know much about tables, have a read through this massive guide to tables at css tricks. First some padding and borders. Then some striped rows (nth-child is not supported by IE8). As the viewport gets smaller, the table width will shrink. However depending on how many columns you have the table which reach a minimum size. This will probably wider than a mobile viewport, and your layout will be broken. You could allow the table to horizontal scroll, without breaking your layout. First we have to change the display: to block; and set overflow-x: toauto; – You may want to use a media query to only do this for small devices. 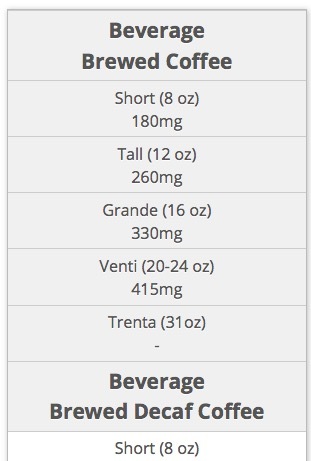 And here’s what we get (this is the amount of caffeine in Starbucks coffee via my site Caffeine Informer). Note that if you have a table that has only a few columns, display: block means they will not resize fit across the full width of the table (if the table is set to 100% width). This is what happens in mobile (320px wide). The user can swipe right and left to horizontal scroll the table. The trouble is, the user has no indication that they can swipe to the right. 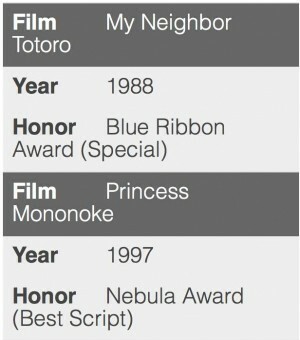 If you resize this page (or you are viewing it on a mobile device), you will notice a third layout where the columns have been translated into a single column. Here, I’ve combined the table cell data with its column header. This excellent plugin allows will hide columns of your choosing. When the row is clicked (or tapped) the columns will fold out below the row. 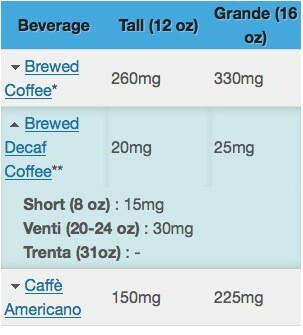 I’ve used an early version of this on Caffeine Informer, and it works well. More recent versions have substantially more features added. Give your tables the appropriate data attributes (which columns should be hidden by default). Ensure the breakpoints are correct (default 480px and 1024px). Call the footable() function for the appropriate tables. 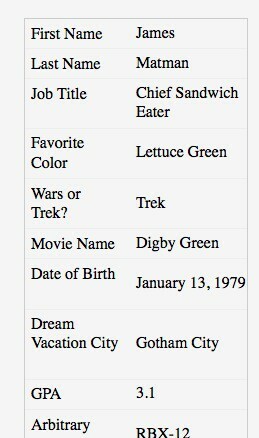 The solution from the Zurb framework is to lock or pin the first column and make the rest of the table scrollable. To accomplish this they use a small piece of jQuery to manipulate the DOM, and some CSS. 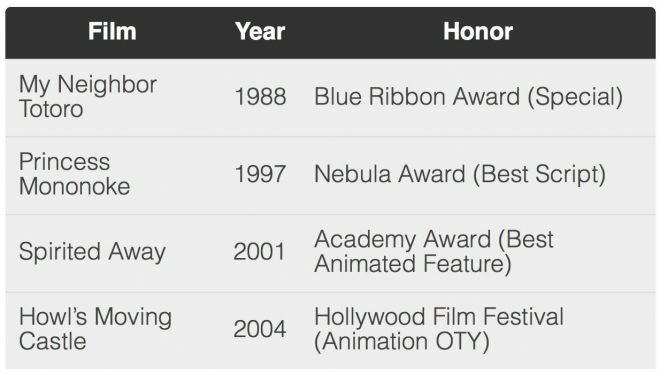 Also see an interesting tutorial on how to add visual cue when the table is going to scroll: design4lifeblog.com/responsive-tables/ — site seems to have disappeared – James. This piece of jQuery will take a table and turn it into one long column of data. 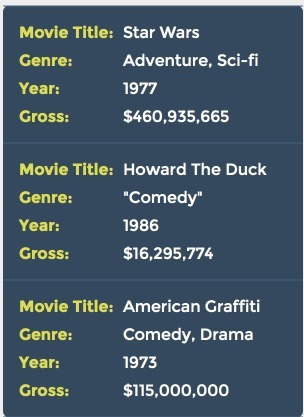 This rather intriguing jQuery script will scale font size of the table according to data attributes. In the above example, the table tag contains two attributes data-max="30"and data-min="11" indicating a minimum and maximum pixel font size. This jQuery solution offers all kinds of different options for table display. From selectable columns, to swipable columns. As well as prioritizing columns. There’s a lot of different options in their github repository. 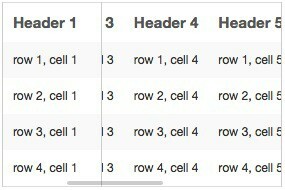 This is truly the kitchen sink of responsive tables. TablePress is a WordPress plugin that utilizes the powerful Datatables jQuery plugin. 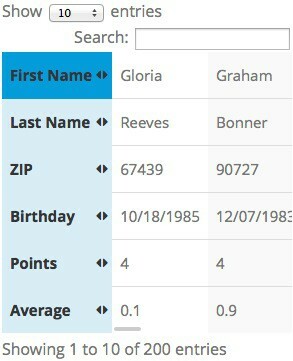 Datatables is one of the most feature-rich plugins for tables (sorting, filtering, paging, etc). TablePress has a responsive extension which turns the table on its side, locking the header column in place. Datatables.js is very powerful, but does add considerably to page weight. This small jQuery script will turn each row into its own vertical list. Rather than manipulate the DOM (by adding and removing table cells), it puts the header info as a data attribute (data-content) into each td element. The stylesheet then displays this using content: attr(data-content). Quite a clever idea. WP Data Tables – A powerful plugin for WordPress that does all kinds of things. Flip the table orientation – example code on Codepen. Make the headers on slant – Chris Coyier shows how to format tables with really long column headers. Responsive Pricing Table – Not about data tables, this tutorial shows how to adapt a pricing table to a mobile viewport.